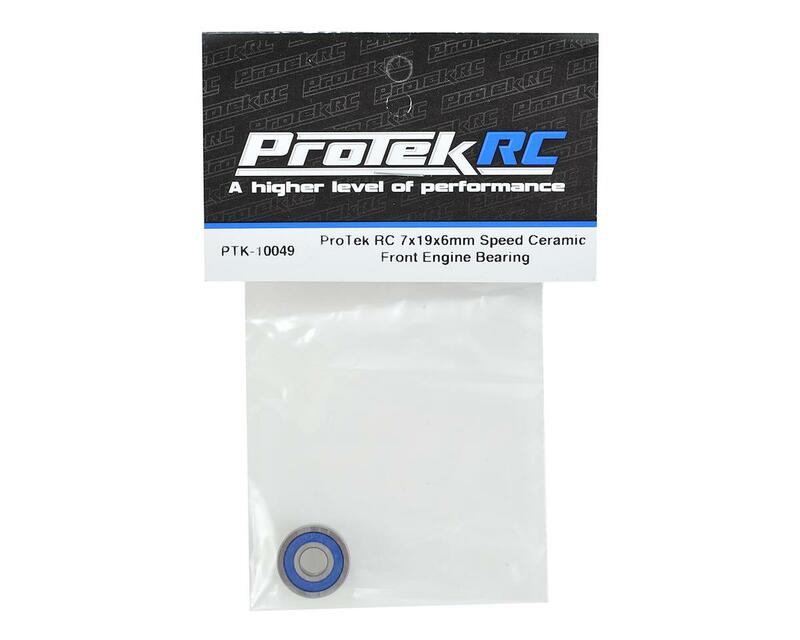 This is a rubber sealed "Speed" ceramic front engine bearing from ProTek R/C. This bearing is designed to fit the O.S. MAX .21 RG, VZ-B and VZ-B V-Spec off-road competition buggy engines. This bearing will also fit any other .21 competition buggy engine that uses the same bearing dimensions, such as the RB Concepts WS7, WS7II, C6-BB, Novarossi P5 etc. The bearing dimensions are 7mm inner, 19mm outer and 6mm thick. This bearing is sealed to stop fuel leaking out the front of the engine during use. Our ProTek Ceramic Engine Bearings are a hybrid type, featuring Stainless Steel inner and outer races, with Si3N4 silicone nitride ceramic balls. 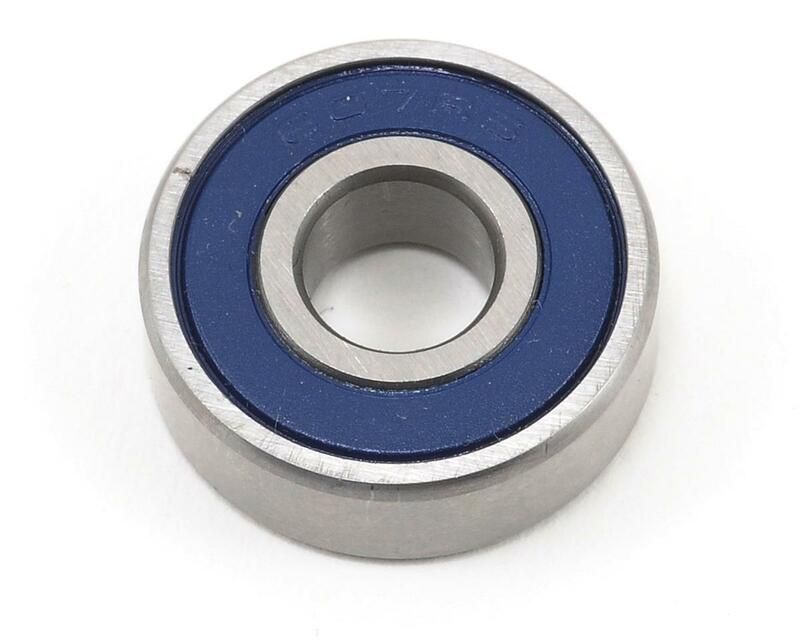 Ceramic bearings have many advantages over standard steel bearings, such as decreased weight, higher RPM capabilities, increased corrosion and wear resistance, as well as reduced friction and vibration. Note: Some of these bearings may have two seals. If you only wish to have one seal, you can remove the seal from the side that will be inside the engine. Wasn't impressed with this bearing, could blow through seals, couldn't blow through standard bearing seals so I used the standard bearing. 5 gal's 25%-9% / broken con rod ((wanted to know how much life i could get out of a os speed con rod)) in os speed still working, Buy it you wont be sorry. also leave both seals in place. This bearing just started to leak all over the place and the motor is now impossible to tune. The motor is not even at the gallon mark yet, I should have waited for the TKO to come back in stock.